You’ve played this game before. You’re stranded on a desert island and you only get to have one album, one food, and one movie for the rest of your life. “Abbey Road, ramen, Coneheads,” you answer, instantly regretting that last one. The game’s a little more forgiving when you play with our hotels — it would take significantly longer for you to get tired of a divine ambience than a Dan Aykroyd comedy. You do have some choices, though, even if you can’t really go wrong. 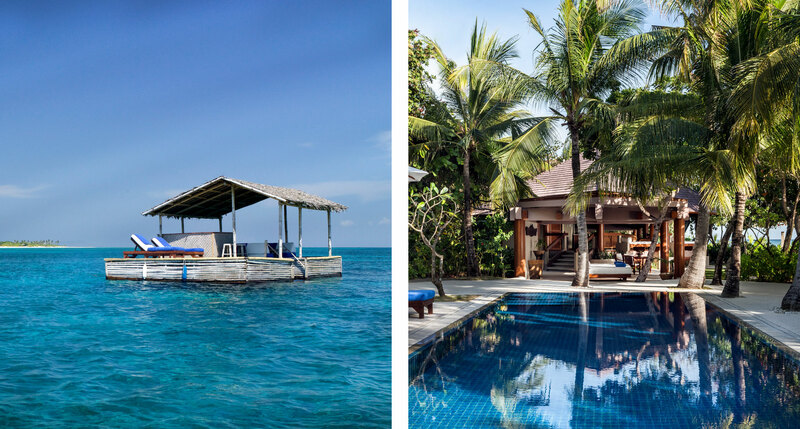 So you’re stranded on a desert island and you can only stay in one type of island hotel, which do you choose? Check out the nine options below and make your choice in the poll at the end. If your island fantasy puts most of the emphasis on island, start here. 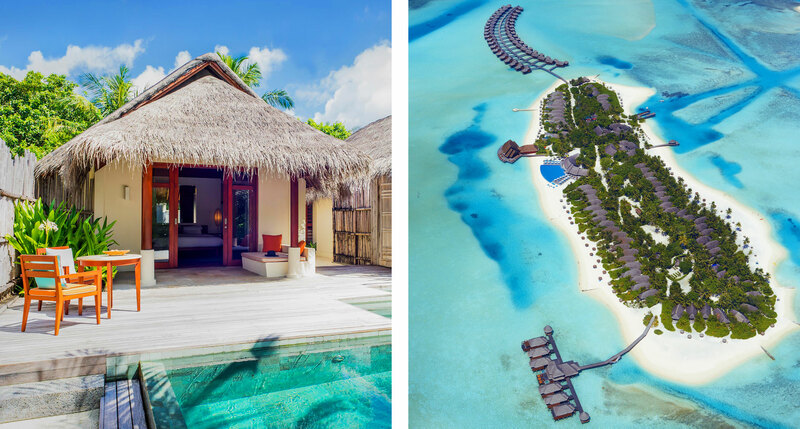 No resort in the Maldives will keep you far removed from the water, but the Anantara Dhigu Resort guarantees you’re as close as you can get without needing a boat, whether you choose an overwater villa on stilts or one perched on the pristine white sand. Think carefully, because your choice of accommodation directly affects whether you’ll soak in the unrivaled sunrise or the unrivaled sunset views dipping over the immaculate water. And remember, according to the game, this is forever. You would hate to get stuck with the wrong perfect view. 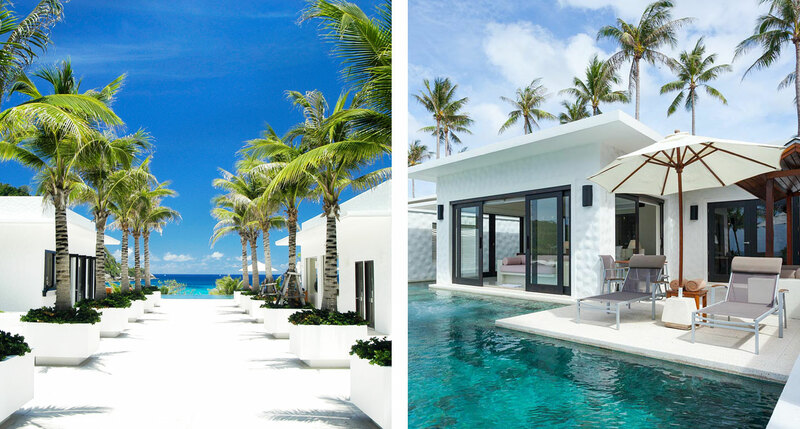 It’s an Aman experience on a remote island in the Philippines, so of course there’s the luxury villas and the beautiful architecture and the spa pursuits. But if this is your category of choice, what sets the Amanpulo island experience apart for you are the forays into the water and the forest. Right off the white-sand beach lies a massive coral reef that invites snorkeling and diving, and the island itself calls out to you for walks through the lush indigenous plants. There you’ll find the homes of dozens of bird species hanging out for the season, along with the nesting sites of green and hawksbill sea turtles. Even after sunset you can keep exploring — just point Amanpulo’s astronomical telescope at the clear night sky. Tiamo means “I love you” in Italian, and that should hint at the theme of this resort: the roomy, private, palm tree-ensconced cottages were built with romance in mind. There’s even babysitting on request, in case the little ones will be joining you on your island daydream. There’s no TV, and the wi-fi’s only in the library, so use this time (the rest of your life, remember?) to stare, looking as lovestruck as you can manage, alternatively at your partner and at the ocean. When you’re tired of that, how does couples wakeboarding sound? 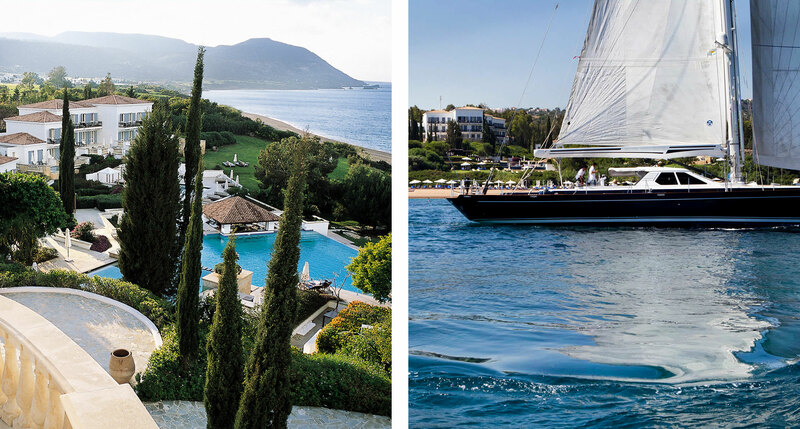 Perched above the Mediterranean Sea, gleaming with white villas on the cliffside, Anassa is your choice if you’re not content to sit on the beach all day (but you’re pretty okay to sit in the spa for the rest of your life). Thalassotherapy and algae body wraps are one option, but so are a host of physical activities to make sure your muscles don’t atrophy after you watch Coneheads again. Bikes, rock climbing, golf, tennis, every single watersport, even triathlon and biking camps are here to keep you happy and in shape. 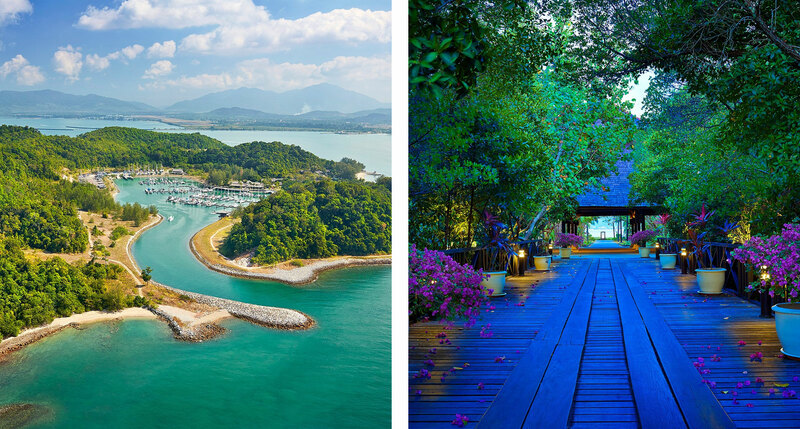 Vivanta by Taj (official name: Langkawi the Jewel of Kedah) is your spot if you’re in it not just for the exquisite private beach, but all the tranquility and leisure the beach life represents. Even if the mood does strike you to get out and see the sights, there are options for sea viewing (no wetsuit required from the 180° viewing tunnel) and island exploration (by cable car) that don’t require much exertion to reap fantastic visual rewards. Another “adventure” option is sitting, drink in hand, in a net trailing a catamaran in the Andaman Sea. They call it a “sea jacuzzi.” Life’s a beach. 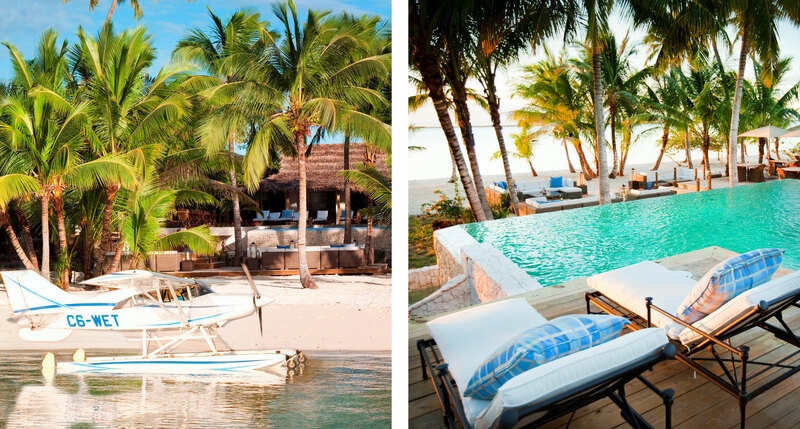 The island of Fiji is an obvious tropical fantasy for anyone, but the Jean-Michel Cousteau Fiji Islands Resort is also your answer if you’d rather not be alone for the rest of your life. As far as the game goes, of course. 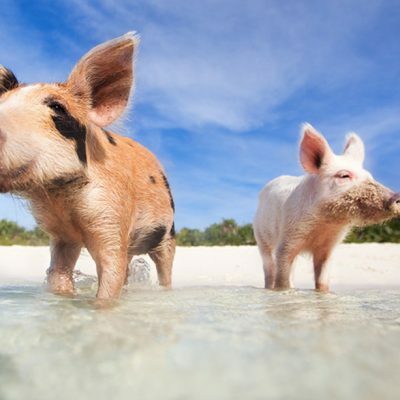 Bring your children and know that while you’re off becoming a world-class diver, or paddle boarder, or, well, spa bum, your children are well taken care of in an award-winning camp called the “Bula Club.” If they’re under five, they get the personal care of a nanny. 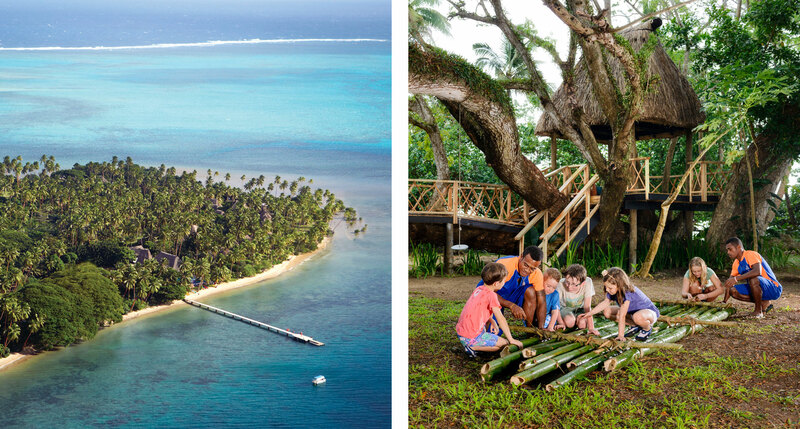 If older, they’re treated to group care under supervision of a “buddy.” The Bula Club has its own dedicated space complete with a waterslide, arts and crafts center, and zip line — but it’s also dedicated to educating kids about nature and wildlife. But you don’t have to tell them that. They’ll never know. 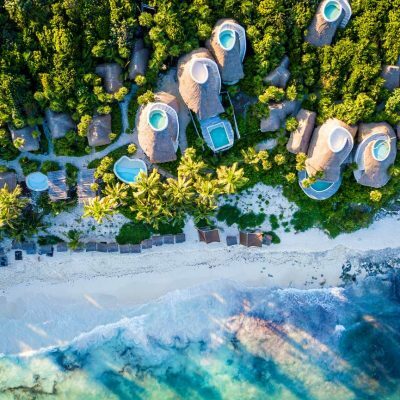 On the other hand, if there are no children in your island fantasy — and you don’t want anyone else’s around, either — there’s Huvafen Fushi. 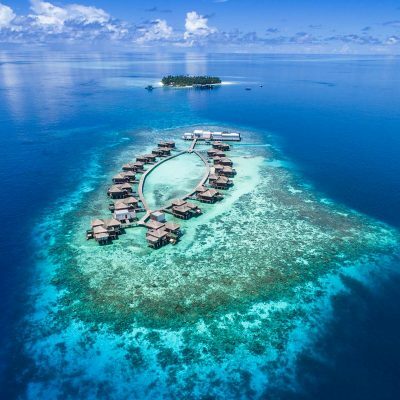 A gorgeous, sedate Maldives location that’s strictly 21-plus, it’s all about a natural setting, over-the-top luxury, and a ridiculously serene island unfettered by crying (besides the devastated adults come check-out time). It’s certainly romantic, but you could always cuddle up with a glass from the impressive wine cellar, instead. 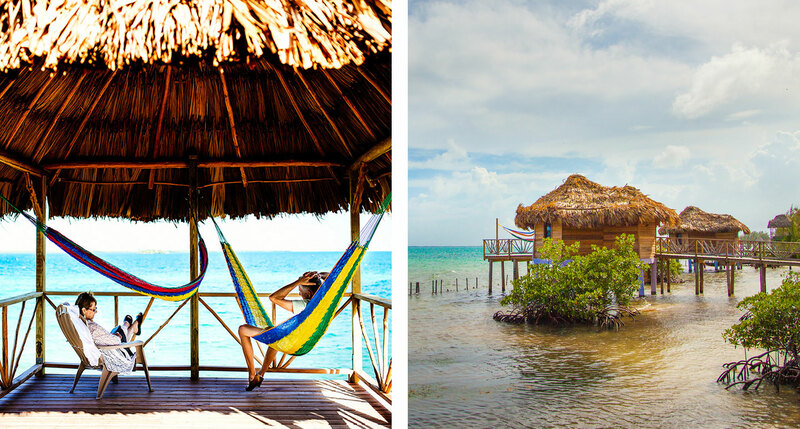 If a reduced carbon footprint is your real fantasy, take a 25-minute boat ride from mainland Belize to the Thatch Caye Resort. The island is automobile-free and boasts an eco-friendly, self-sustaining mentality. 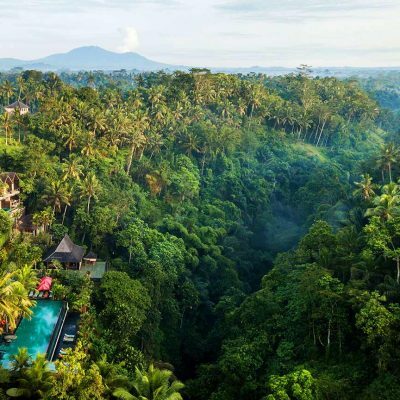 Meanwhile, the accommodations are all-inclusive but rustic, luxurious but active, and meals are enjoyed together with the other guests. You’re welcome to enjoy the island solo, but you’ll find yourself invited daily to snorkeling, diving, and fishing adventures. Not a bad way to live. If the typical island destiny doesn’t quite suit you, that’s alright. These aren’t your typical villas. The interiors of the accommodations at the Racha invoke a city hotel more than a jungle abode, with gleaming white surfaces, crisp, contemporary furnishings and dark wood accents. 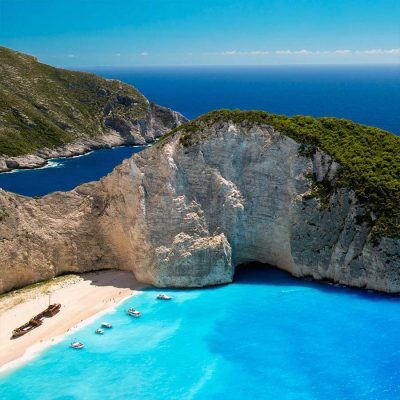 And though it’s set above a picturesque sandy beach on a secluded cove, book a villa with its own private plunge pool and you won’t even have to set foot in the ocean to cool off. 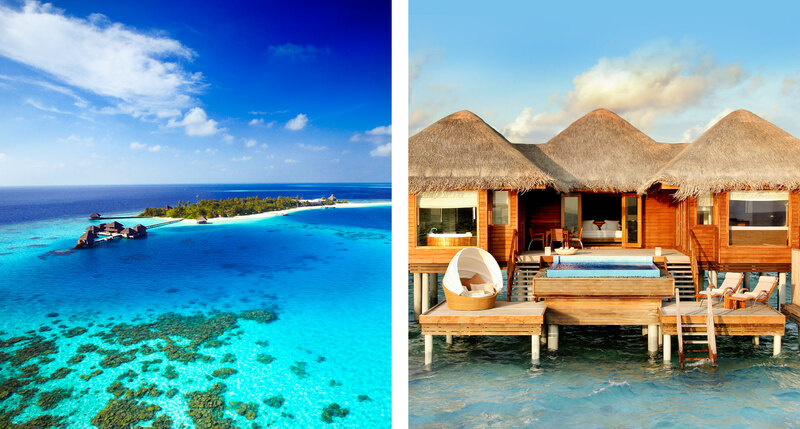 You're stranded on a desert island, which type of hotel would you choose? I would love to see a Tablet article on Scuba Diving Resorts. 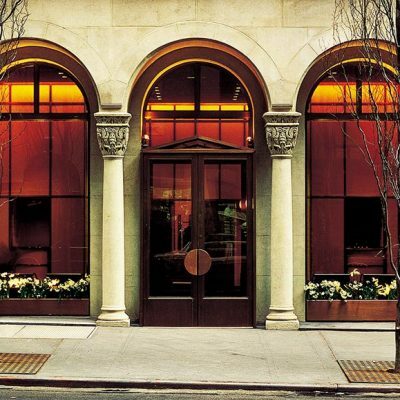 . .
Amazing hotels never heard of you before!